In a morale booster for women Army officers, the Defence Ministry withdrew its appeals against a 2012 Armed Forces Tribunal decision setting aside denial of promotions and benefits to Short Service and Women Commissioned Officers commissioned before 2006. A Bench led by Chief Justice of India Dipak Misra agreed to the Ministry’s plea that the issue has been resolved and it would withdraw the case against the women commissioned officers, represented by advocate Aishwarya Bhati, who were denied due recognition and benefits despite years of service for the country. On implementation of the recommendations of the Ajai Vikram Singh Committee, the government in 2004 had accepted promotions of army officers at two, six and 13 years of service to the ranks of Captain, Major and Lieutenant Colonel. But though the promotions were made applicable to all commissioned officers, the benefit was later withheld from Short Service and Women Officers due to an interpretation by the Army’s Military Secretary’s (MS) Branch. The benefits were not extended despite a gazette notification by the Ministry extending the same to the affected officers. The problem was confined to personnel in the Army. In 2006, when the Short Service scheme was changed from 5+5+4 years system to 10+4 years system, the benefit was extended to officers opting for the new scheme resulting in a sharp disparity wherein senior officers were retired as substantive Lieutenants and Captains while their juniors could reach the Lieutenant Colonel-rank. In 2012, on petitions filed by women officers and SSC officers, the Tribunal struck down this discrimination. But the Army and the Defence Ministry appealed in the Supreme Court. 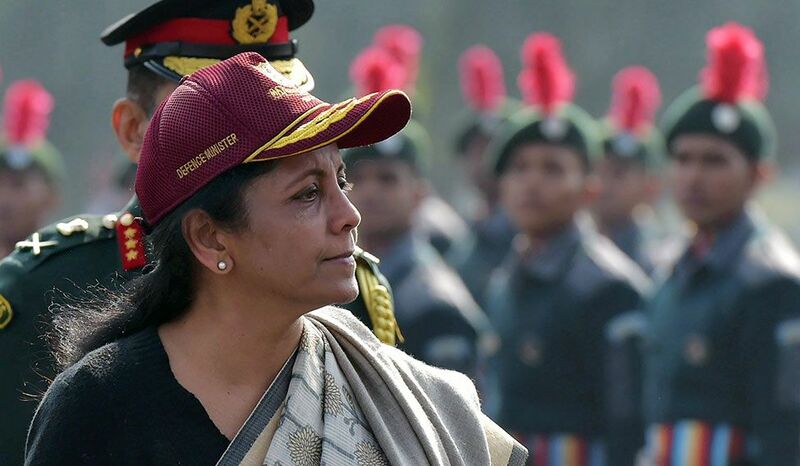 Giving relief to more than 150 women Army officers, ministry of defence led by Nirmala Sitharaman withdrew its appeal related to the issue of denial of promotions and benefits to Short Service and Women Commissioned Officers commissioned before 2006. The decision has also come as a major morale booster for the officers. According to officials, the decision for withdrawal was approved last week by Sitharaman, and on Monday the appeal was finally withdrawn from the Supreme Court when the case came up for hearing, paving the way for grant of benefits to the officers. Speaking to THE WEEK, Advocate Aishwarya Bhati, counsel appearing for women officers said that the matter stands resolved with the Ministry of Defence (MoD) withdrawing its appeal filed against such officers. "A letter from the ministry of defence was taken on record and appeal was dismissed as withdrawn by the Supreme Court. Over 150 women officers serving in the army will be benefited from this order," Bhati said. Petitioners had stated that the applicants and other similarly situated officers are suffering irreparable damage as not only have they been denied seniority, promotion, pay parity and important assignments but their juniors are being promoted ahead of them, causing grave humiliation. According to officials, on implementation of the recommendations of the Ajai Vikram Singh Committee, the Government in 2004 had accepted the promotions of Army officers at 2, 6 and 13 years of service to the ranks of Captain, Major and Lt Col respectively. Though the promotions were made applicable to all commissioned officers, the benefit was later withheld from Short Service and Women Officers due to an internal interpretation by the Army’s Military Secretary’s (MS) Branch. The benefits were not extended despite a gazette notification by the Ministry of Defence extending the same to all affected officers though no such problem was faced in the Navy and the Air Force. Later in 2006, when the Short Service Scheme was changed from 5+5+4 years system to 10+4 years system, the benefit was duly extended to those officers who opted for the new scheme resulting in a sharp disparity wherein senior officers were being retired as substantive Lieutenants and Captains while their juniors were reaching the rank of Lt Col. The discrimination was set aside by the Armed Forces Tribunal but the decision was challenged in the Supreme Court by the Army and the MoD. Adding that the appeal seemed more like a ‘prestige issue’, the panel had asked for its withdrawal observing that the “anomaly was due to a self-created negative interpretation even when the scheme had been approved for all officers by the Cabinet”.